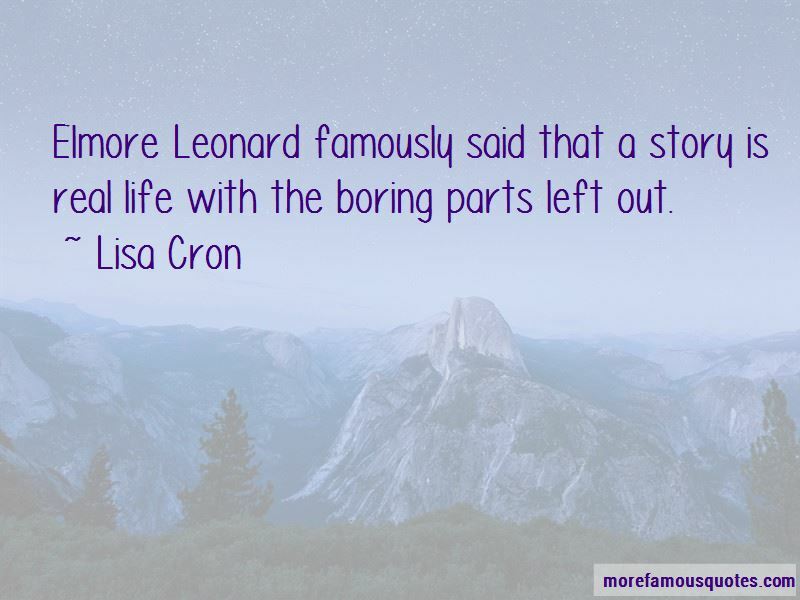 Enjoy the top 14 famous quotes, sayings and quotations by Lisa Cron. If I ask you to think about something, you can decide not to. But if I make you feel something? Now I have your attention. Before there were books, we read each other. Each thing you add to your story is a drop of paint falling into clear water; it spreads through and colors everything. You cherry-pick events that are relevant to the story question and construct a gauntlet of challenge (read: the plot) that will force the protagonist to put his money where his mouth is. Think baptism by ever-escalating fire. 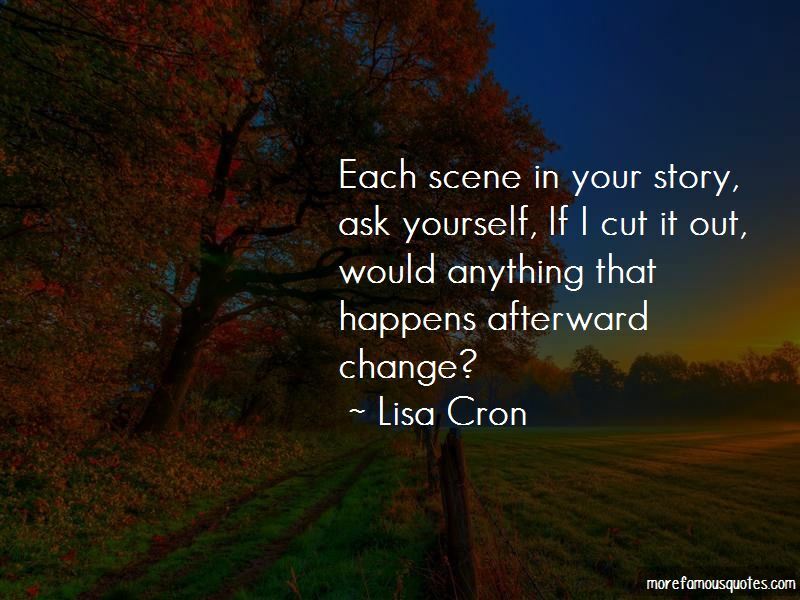 Each scene in your story, ask yourself, If I cut it out, would anything that happens afterward change? You slogged from the terrifying emptiness of the blank page to the two most beautiful words in a writer's vocabulary: The End. 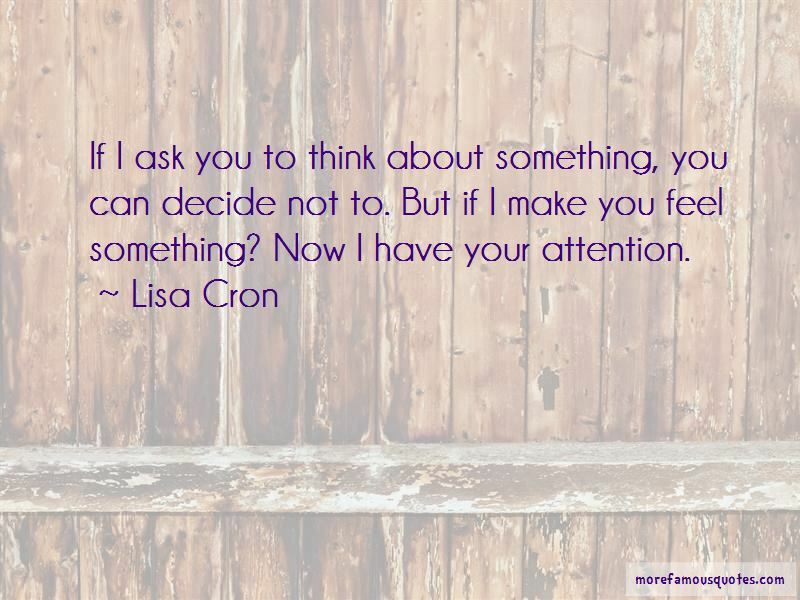 Want to see more pictures of Lisa Cron quotes? 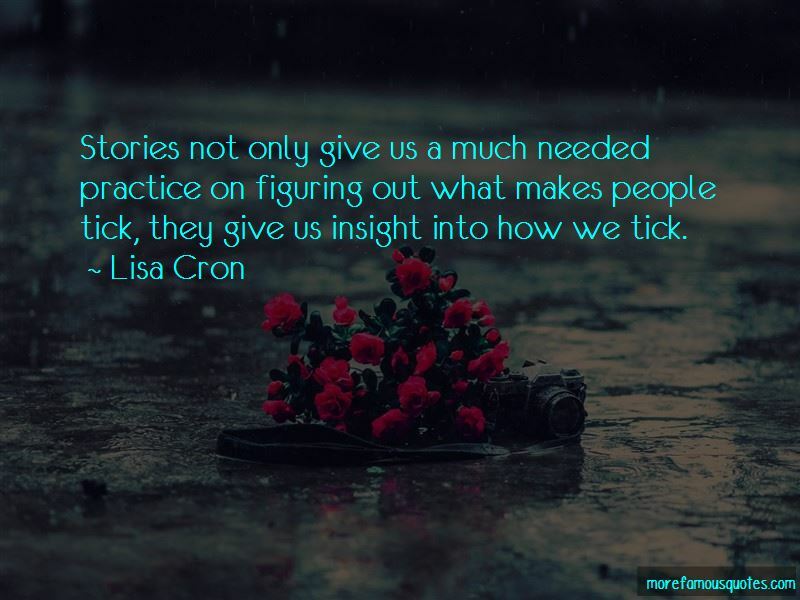 Click on image of Lisa Cron quotes to view full size.